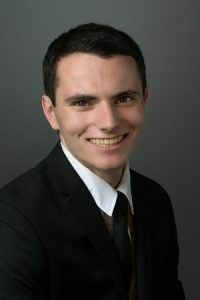 Scott Emmons, a fourth-year student at the University of North Carolina at Chapel Hill, has been named a recipient of the prestigious Churchill Scholarship, a research-focused award that provides funding to outstanding American students for a year of master’s degree study in science, mathematics and engineering at Churchill College, based at the University of Cambridge in England. Emmons is one of only 16 students and recent graduates selected for the award this year, which not only requires exemplary academic achievement but also seeks those with proven talent in research, extensive laboratory experience and personal activities outside of academic pursuits, especially in music, athletics and social service. He is Carolina’s 18th Churchill Scholar.